Here are this week’s highlights from VH1, Celebuzz, Flavorwire, and Hollywood.com. 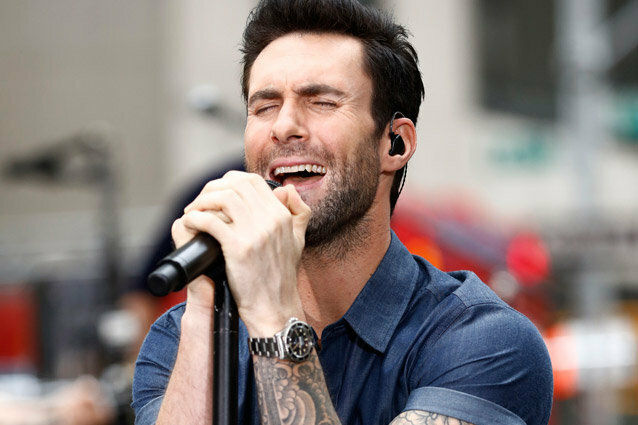 From scruffy Jazz crooner to pop-megastar, Celebuzz takes a look back at Adam Levine’s career evolution. Wait, what did he just say!? Ever really stop and listen to that new favorite song of yours? Flavorwire counts down the top 10 teen pop songs with decidedly disturbing lyrics. What’s better than a smooch in the rain? Not much. From The Notebook to Spider-Man, VH1’s list of epic rain kisses prove that wetter is better.